A web proxy means a server which keeps you anonymous while browsing the internet to keep your data safe and secure. A web proxy means a server which keeps you anonymous while browsing the internet to keep your data safe and secure. While choosing a web proxy, you must have considerations on various factors like whether it is paid or free, its speed, the type of encryption it offers an activity logging period. If you want to know about the best free web proxy, you have come to the right place. 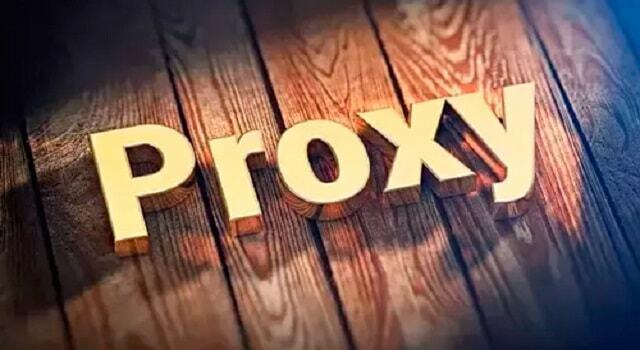 We will tell you the top proxies which are safe and secure to use. More: Top Ten Keyboard Shortcut keys. High-speed and free SSL encrypted proxy provider VPN Book is our top pick supporting HTTPS. You have the option to choose proxy servers yourself or let the VPN book to choose itself randomly. It also keeps weblogs so to report any illegal activity timely. But these logs are deleted automatically after a week. For people intending to browse privately with certain limitations and restrictions for downloading extensions or software. This free web proxy hides your identity and IP address and also supports HTTP connections. It saves your visited sites and pages for 30 days after which all the logs are deleted automatically. K proxy offers a faster browsing service with the browser or with extensions in Chrome and Firefox available to be used by students or workers in their schools and offices. The only limitation in the free version of K proxy is that you can use to browse safely via K proxy only for 3 hours or up to 300 MB. After this, you either have to purchase the premium version or have to wait for refilling your limit which is 30 minutes. It also saves logs but didn’t disclose how long they keep the logs. Privoxy uses your home PC as a remote server to let you browse anonymously when you are away from home and are using public Wi-Fi or public PC. The drawback in comparison with other free web proxies is that you have to leave your home PC on whenever you want to use Privoxy out of your home. Like all other proxies, it also keeps logs of your IP address, visited sites and pages. The most suitable web proxy for accessing videos online and unblocking video sites if they are blocked in your region. It also keeps logs of your activity to report any illegal issue, but the logs are deleted after a week. Using a proxy server is an individual’s choice. If anyone wants to keep themselves anonymous to the internet or does not wants to share their data on any site using the proxy server is the only way to keep your data hidden. The proxy serves re also used to unblock sites like in schools or colleges many sites are blocked. Another good reason to use the proxy server is that it enhances the speed of browsing and you can browse faster than without proxy. Tips: How to buy a good laptop? And should i use VPN cause proxy doesn't seem to help at all? You should try bestvpnrating.cоm, cause i do agree, looking for proxy every time is a issue. Hey, many thanks for this article! You mentioned VPN - do you have any recommendations on VPN provider as well? My residence now is abroad and I can't watch internet tv from my country polskivpn.pl/polska-telewizja-online-za-granica thx in advance!